The biggest international theatre festival, the 8th Theater Olympics, will start on Saturday from Red Fort, wherein India is hosting the event for the first time. Vice President M. Venkaiah Naidu will inaugurate the ceremony. This time, theme of the plays from India will be based on the schemes launched by Prime Minister Narendra Modi in the public interest, like 'Beti Bachao, Beti Padhao' and 'Swachh Bharat Abhiyan'. The theme, this time, will focus on topics that are directly related to the society. A series of performances will be displayed by 30 countries from across the world and also, multi-lingual plays will be showcased from India. The competition will be held for 51 days across different cities in the country, where ideas related to public awareness will be expressed through staging of plays. 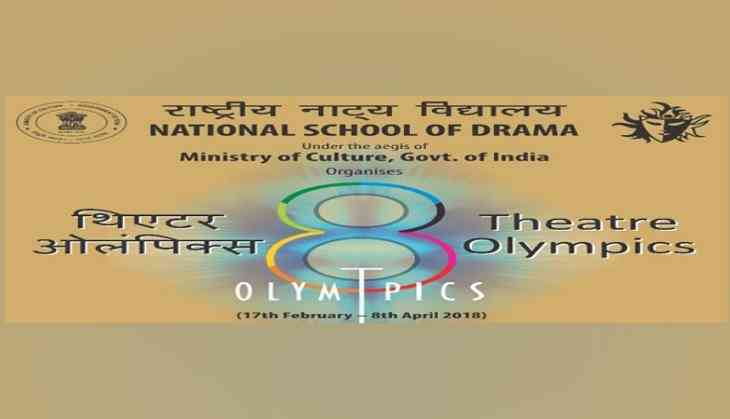 The theatrical extravaganza is being hosted in India by the National School of Drama under the aegis of Ministry of Culture, Government of India. The theme of the 8th Theatre Olympics is 'Flag of Friendship' that aims to bridge borders and bring people of different cultures, beliefs and ideologies together through the medium of theatrical art. During the festival, plays will be held in Agartala, Ahmedabad, Bengaluru, Bhopal, Bhubaneswar, Chandigarh, Chennai, Delhi, Guwahati, Imphal, Jaipur, Jammu, Kolkata, Mumbai, Patna, Thiruvananthapuram and Varanasi. Theatre and film veterans of the likes of Shabana Azmi, Paresh Rawal, Manoj Joshi, Himani Shivpuri, Seema Biswas and Saurabh Shukla will also take part during this grand theatrical treat.